Sometimes I just want to post something I think is relevant regarding a trade or a news item etc, but don't want to devote a whole full blog post on it since I usually write blog posts that contain 500 words or more. I came up with the concept of a 'mini blog', for those that are interested following me every step of the way, and I think some are judging by the emails I receive :). I happen to be pretty accurate with my analysis regarding the Forex markets and soon I'll be taking on stock picks and option trading. All very exciting stuff, but I can't devote my time writing blogs and put trading on the side. I did some research on the internet to see what would be the best way to create a 'mini blog'. Little snippets on what I am doing, I was looking kinda a mix between Twitter and Facebook, but not really, if you know what I mean :P, still with the ability to post 'tweets' but also pictures and video if I needed to. I came across a service called Tumblr and was pretty impressed with their platform. So much that I decided to sign up for an account, making them the 'host' of my mini blog and that's pretty much what they are. 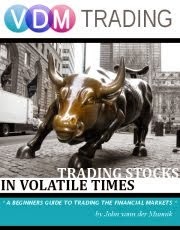 blog.vdmtrading.com.. I still have to modify the 'skin' but a classy nightlife style pre made skin I found to be the best around for the moment. Ultimately I want to incorporate the layout of vdmtrading.com, but this will do for now. It serves its purpose and that's all I care about. So go ahead and check me out at: http://blog.vdmtrading.com.